Our go + make shirt is printed on a steel blue Bella Canvas Tri-Blend shirt. The shirt is a pre-shrunk cotton, polyester, rayon tai-blend material. They tend to run small so if you are deciding between sizes it may be a good idea to size up. Our Life Church short sleeve shirt is printed on a pepper Comfort Colors t-shirt. The shirt is 100% pre-shrunk, ringspun pigment-dyed cotton and fits true to size. Our Jesus in the 409 shirt is printed on a natural color Gildan Softstyle Jersey T‑shirt. It is a 100% pre-shrunk ringspun cotton jersey; Heather colors are poly/cotton blends. Fits true to size. 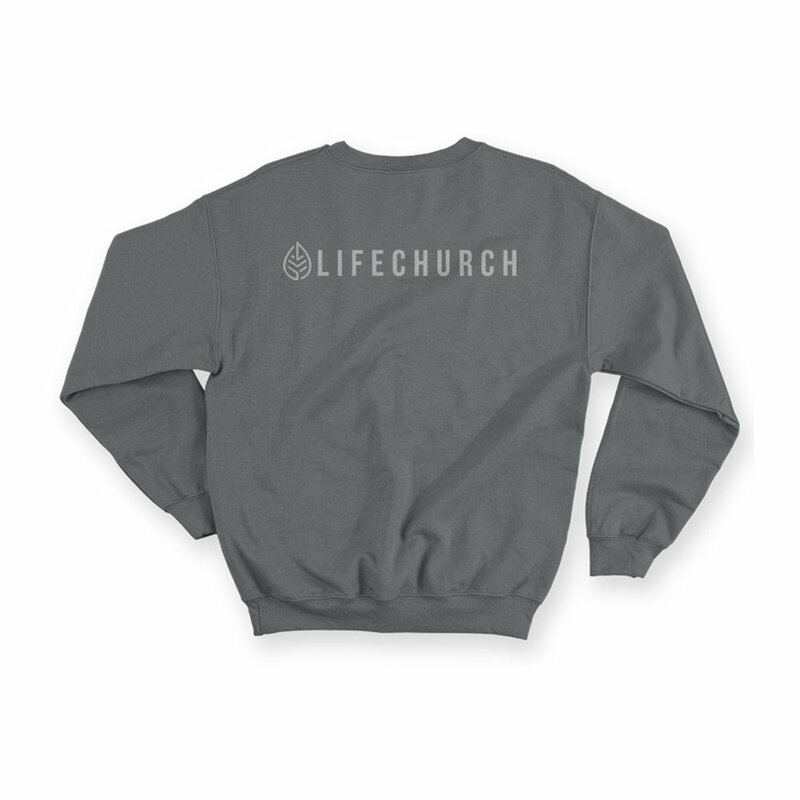 The Life Church sweatshirt is printed on a vintage black Hanes Nano crewneck sweatshirt. The sweatshirts are a ringspun poly/cotton blend and fit true to size. Our Made New shirt is printed on a Black Comfort Colors shirt. This cozy long sleeve t‑shirt feels like you've owned it for years! Great pigment‑dyed color selection gives your group a classic cool look that will last. The run big/true to size. Our Life Church logo hat is a baseball style cap is built with stylish heathered front panels and a mesh trucker back.